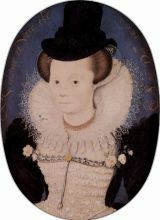 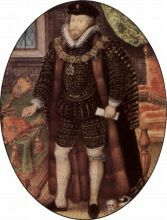 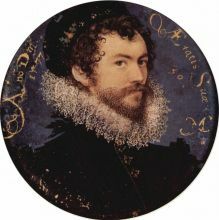 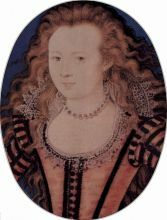 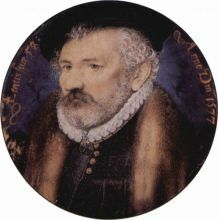 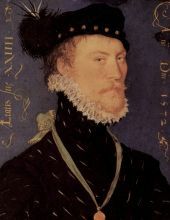 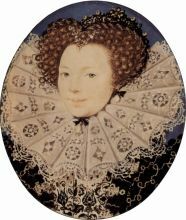 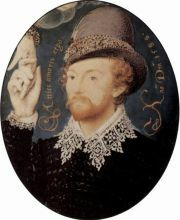 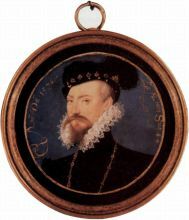 Nicholas Hilliard (c. 1547 – bur. 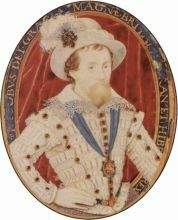 January 7, 1619) was an English goldsmith and limner best known for his portrait miniatures of members of the courts of Elizabeth I and James I of England. 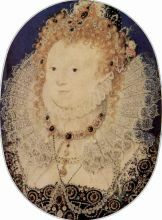 He mostly painted small oval miniatures, but also some larger cabinet miniatures, up to about ten inches tall, and at least the two famous half-length panel portraits of Elizabeth. 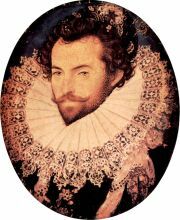 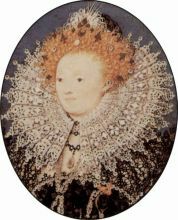 He enjoyed continuing success as an artist, and continuing financial troubles, for forty-five years, and his paintings still exemplify the visual image of Elizabethan England, very different from that of most of Europe in the late sixteenth century. 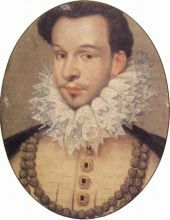 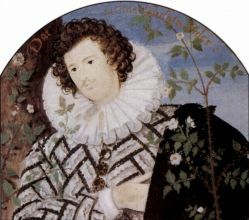 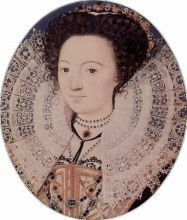 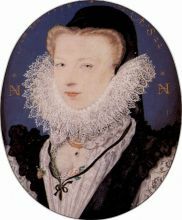 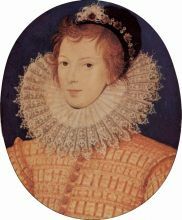 Technically he was very conservative by European standards, but his paintings are superbly executed and have a freshness and charm that has ensured his continuing reputation as "the central artistic figure of the Elizabethan age, the only English painter whose work reflects, in its delicate microcosm, the world of Shakespeare's earlier plays".